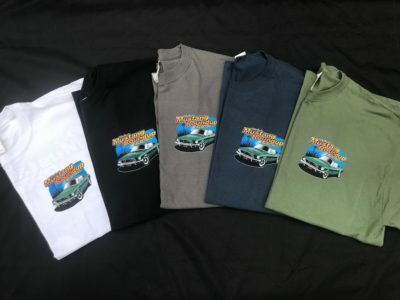 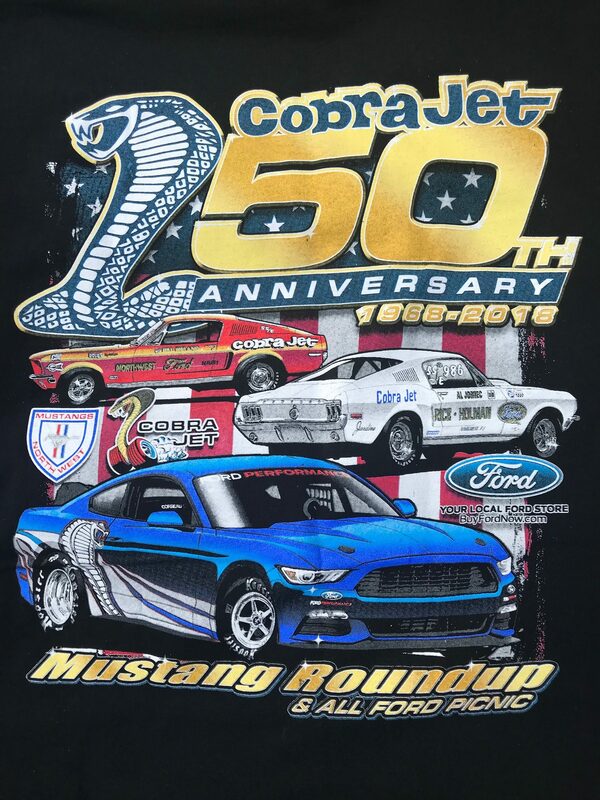 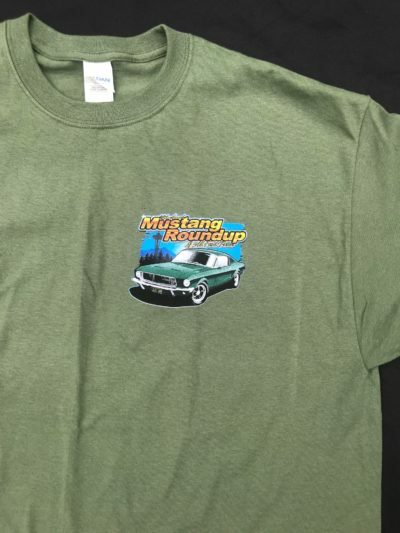 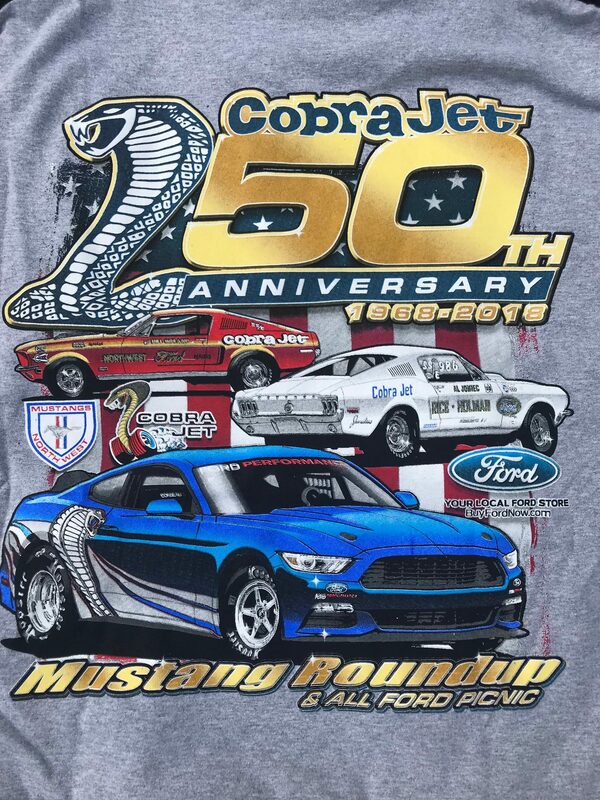 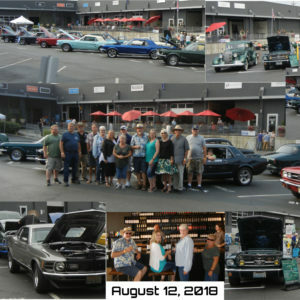 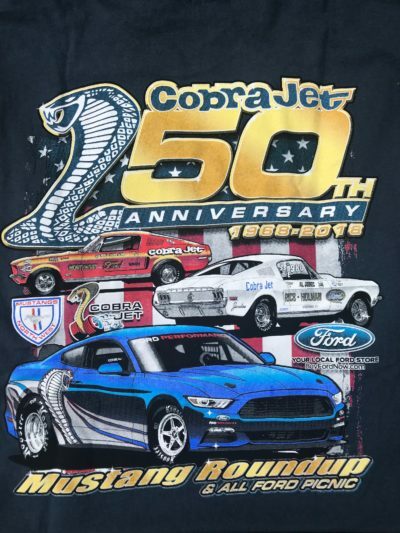 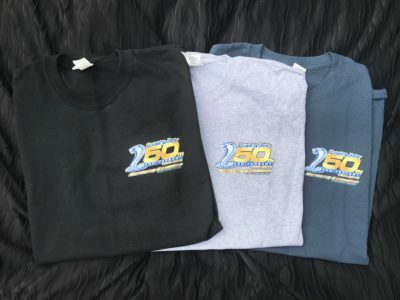 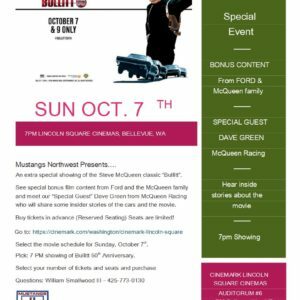 A special edition 2018 Mustang Roundup Cobra Jet 50th Anniversary T-Shirt and the 2018 Mustang Roundup Bullitt Commemorative T-Shirt are still available for purchase. The price for one of these quality t-shirts is $20.00 plus shipping and handling. 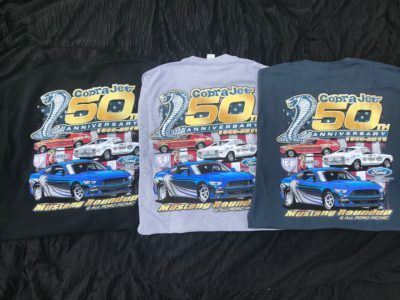 Sizes are S to 3XL. 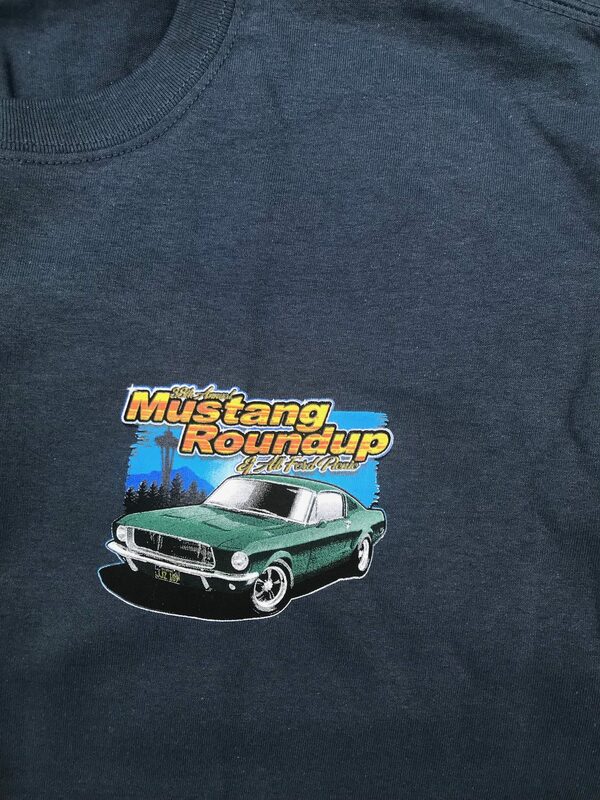 See the pictures below for color samples. To purchase t-shirts, email Bill Smallwood at tackshack@mustangsnorthwest.org with style, size, color and quantity plus your contact information.